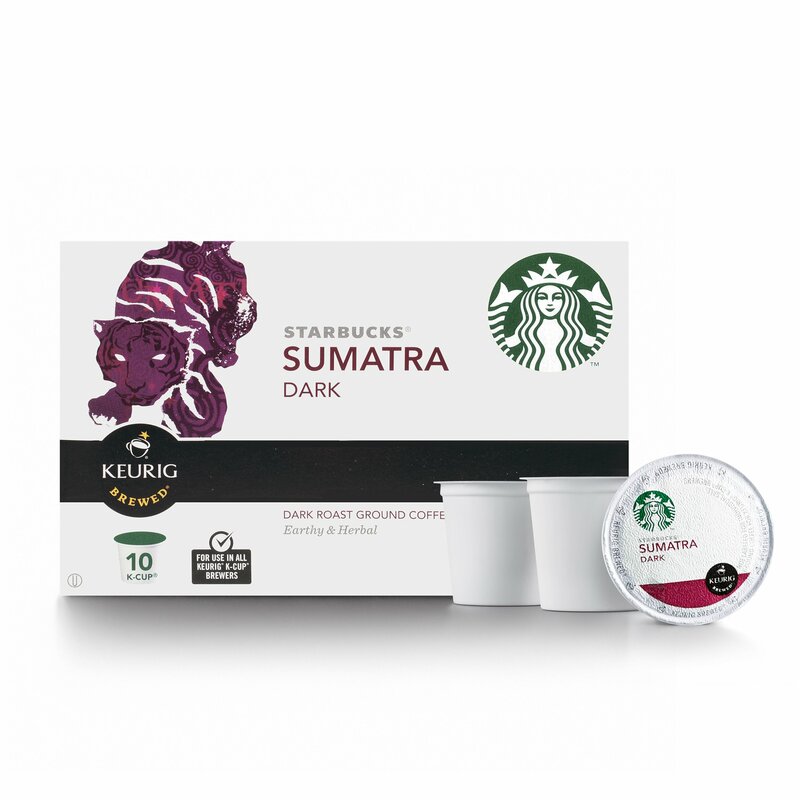 Size: 60 Count Sumatra Like the Sumatran tiger, this coffee makes its presence known. It'sbig and bold with distinctive earthy aroma and lingering low notes. The heavy,full body and concentrated herbal spice notes are hallmarks of great coffeefrom Sumatra and the pride of our most seasoned roasters. Dark Roast Fuller-bodied and bold, these coffees feature robust flavors and the characteristicessence of an intense roast. Keurig, K-Cup, the K logo, and the Keurig brewertrade dress are trademarks of Keurig Green Mountain, Inc., used withpermission.